There were two schedules on the wall to show people who was playing when. I actually think we were ahead of schedule which I am told is very rare! Bands were very considerate about their time onstage. 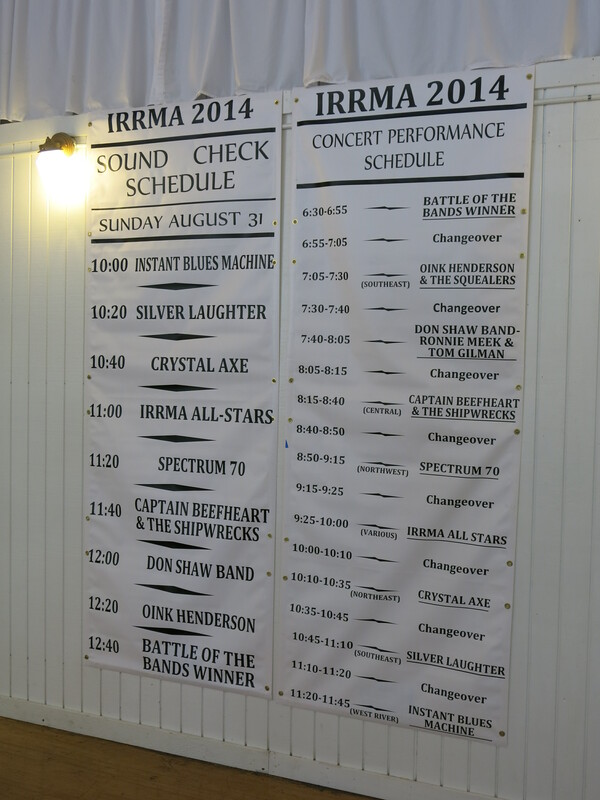 The photo shows that we were the second band in the sound check but were the second to last band in the performance schedule.